TRUSTED REGINA home cleaning experts! Staying cold- and flu-free this season comes down to a few simple tactics: First, get a flu shot. Second, steer clear of co-workers who hit the office sniffling and coughing. 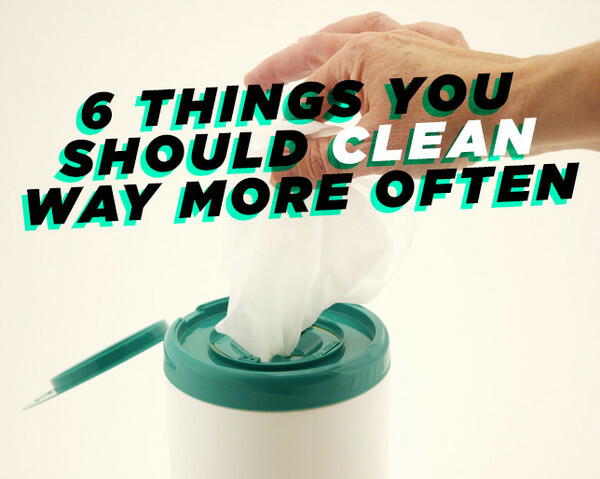 And third, know the places where viruses and bacteria tend to hang out and how to properly clean these things—so you can drastically reduce your odds of accidentally buying yourself a week in bed with body aches and a fever. We asked germ expert Charles Gerba, Ph.D., professor of microbiology at the University of Arizona, to scout out the top places germs lurk and how to zap their numbers. Anything that gets a lot of direct contact with hands and fingers tends to have a scarily high concentration of germs, and all it takes for you to contract something is touching the mouse or keyboard and then touching your eyes, nose, or mouth. Even if it’s only used occasionally by one or two people in your household, wipe it down before each use with an alcohol-based towelette designed for cleaning electronics, says Gerba. Run a disinfectant wipe along your dashboard weekly, which accumulates germs thanks to the heater or AC blowing them there, says Gerba. Cup holders are also germ hangouts, thanks in part to the food residue you can’t even see. “If you have a child car seat, wipe that down, too, because kids are always sick and touching various parts of it,” says Gerba. You’ve heard reports that these are crawling with germs in hotels. But even in your own house, it’s one of the germiest surfaces, says Gerba. Everyone touches it all the time, especially when they’re eating, and that leads to bacteria and virus growth. 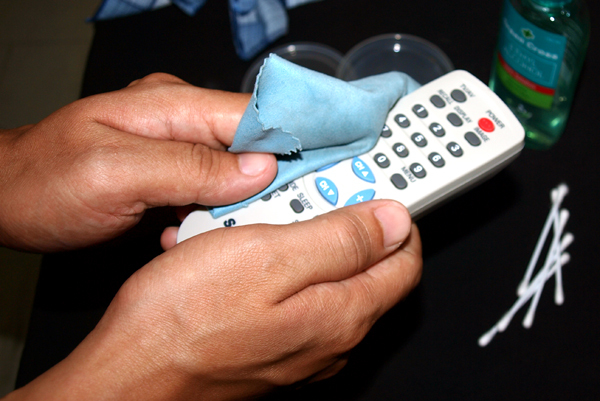 Give it a wipedown weekly with an alcohol-based electronics cleanser. 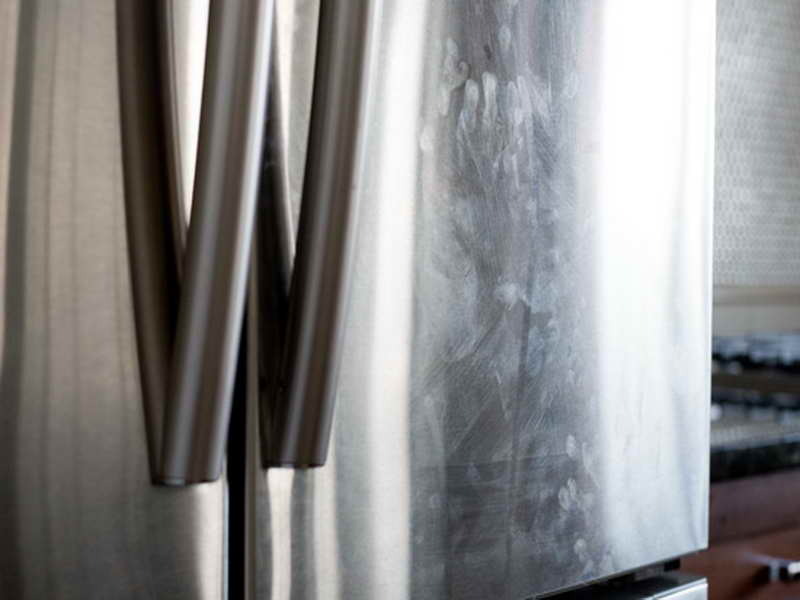 Not only are you constantly touching the handle or strap, but you end up leaving it on a dirty restroom floor or store counter more than you think, and these areas have huge germ traffic. When you bring your bag into your house, you risk spreading anything you’ve picked up to yourself or family members. Spray or wipe it daily (or whenever you use it) with a fabric-safe sanitizing spray and paper towel, and hang it on a hook when you’re home so microbes can’t be tracked through the rest of the house. It’s an exciting time – the old house is sold, the new one is ready, and all that’s left is the move…..oh wait – not quite yet! There’s all that legal “stuff” to deal with now….signatures….titles to be given…and pages and pages of documents that need to be signed before the key is in your hand!!! And to top it all off – who really knows a good real estate lawyer? 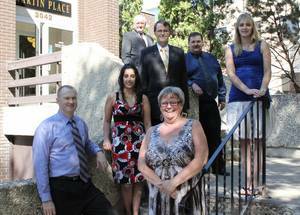 MacKay & McLean provides the professional services of a large Regina law firm, with the intimate attention of a small firm. The legal process can be daunting and overwhelming, but it doesn't have to be. MacKay & McLean is with you every step of the way. Being a small firm, the lawyers of MacKay & McLean give personal, professional attention to each of our clients, thus maximizing results while minimizing cost. Our lawyers and front office staff take the time to talk to you so that you are comfortable with the process of our services. More importantly, we take the time to listen to you. Your first consultation is free so that we may assess your need for a lawyer, cost of services and how we may help you. MacKay & McLean provides the professional services of a large firm, with the intimate attention of a small firm. The legal process can be daunting and overwhelming, but it doesn't have to be. MacKay & McLean is with you every step of the way. Maybe not making the grades he or she is capable of? Doesn’t want to do homework or is frustrated with their teachers? Then you should call Oxford Learning now! Janet Klassen, the Oxford Learning Regina Director, has a Bachelor of Arts (English & Psychology), along with her Certificate in Education. Prior to opening Oxford Learning in Regina in 2000, she taught to middle and high school students. Janet chose to stay home and raise her 4 children, and is now the proud grandma of 5 grandchildren. It is clear when you meet Janet that she has a passion for teaching children. Janet is obviously business savvy and it is apparent that she believes wholeheartedly in the philosophy of Oxford Learning, that is what led her to open one of the first Oxford Learning Centres in Western Canada. Here Janet appears on Global Regina to talk about SUMMER BRAIN DRAIN! At Oxford learning Regina the team are privileged to share in the successes of their students as they realize their full potential for learning! The teaching team have fun with learning, they show students that it is OK to make mistakes because they also can then learn from them. At Oxford there is a difference. Your child will learn, and love learning. You will see changes within months, sometimes even weeks. At Oxford, they assess your child and their learning needs, then start the process of helping your child learn, again. The classrooms are bright and colorful, the children that are there attending classes are happy to be there, learning, and the room is full of incredible tools to assist that process. The real difference at Oxford is that they care about your child and their individualized educational needs. Every child gets a personalized learning program! Your child will have quality time spent learning valuable organizational skills that will help now and in years to come. They will be motivated to learn and celebrated with each new level of skill. You can watch as your child develops skills and confidence. Yesterday was the best time to start , today is the next best time, don’t wait any longer. Help your child flourish and love education. Oxford Learning are more than just tutors, they are caring educators with the same goals as YOU...giving your child the best education! Oxford Learning are your Trusted Regina Tutors. You may not know that your localStyle Consultant is also an amazing source for exquisite home décor accessories. Not limited to helping you design the perfect custom window treatments, they can help you bring your whole home design to life with coordinating accessories like pillows, rugs, bedding and specialty décor items such as faux iron accents. No need to drive all over town or spend hours online hunting down just the right accessories to complete your room design. You can shop our custom products right at home, ensuring that what you order will look and perform perfectly in your space. The same manufacturers of our luxurious curtains and drapes will custom make pillows to match, contrast or compliment your window treatments. In addition to the phenomenal range of fabric choices, you’ll also have embellishment options such as trims, fringes, crystals, buttons and ruffles to inspire your inner decorating diva. Pillows are just about the easiest way to introduce invigorating color when a room has a neutral palette. The bright patterns and colors on these throw pillows are a sharp contrast to the dark woven wood shades and bring the space alive. Whenever your mood or the seasons change, you can easily reinvent your color scheme with new pillows and accessories. As more and more people opt for hardwood and tiled floors, rugs become an important accessory to add color, warm up a room, define space and even absorb sound. Rugs come in all sizes from small throw rugs to full room-sized custom rugs and stairway runners. Rug content can include 100% wool, wool blends, polyester, polyester blends, mod-acrylic, silk, nylon, cotton and Wool Berber. Indoor/outdoor rugs are low pile and easy care, designed to withstand heavy use and all kinds of abuse…including spills and messes in a child’s playroom, a family game room or even the garage. custom rugs have a wide range of colors, patterns and styles, made by artisans around the world. From handmade to machine loomed, all are high-quality with good/better/best options, so we have rugs for every budget and personal style. This shades-of-gray-and white room would present a totally different feel with any of the additional rug designs on the side. The room becomes more dramatic with the bold patterns, or soft and soothing with the cool, pastel coastal colors. Changing out a rug introduces new color options for accessorizing by pulling colors from the rug design and highlighting those colors in other decorative pieces. Studies show that the average person spends 26 years of their lifetime sleeping and an additional seven years lying in bed trying to fall asleep. That’s 33 years! Shouldn’t you spend that much time in beautiful surroundings? Bedding accessories like custom comforters, duvet covers, bedspreads, quilts, daybed covers, bed skirts, pillows and even fabric headboards are all options for designing your dream bedroom. You can coordinate with your curtains, drapes, shades and valances, or design your bed and then tackle the windows. Budget Blinds offers almost endless possibilities of fabric choices, textures, colors and patterns to mix and match to achieve your right ambiance for a good night’s sleep. This bedroom is so inviting in white and blue from the tufted fabric headboard to the eclectic collection of pillows that incorporates all the colors in the duvet cover. It’s easy to imagine a night of total comfort in this beautiful room. Check out Regina Window Coverings to read what their happy clients had to say...they are your Trusted Regina Window coverings experts. Finding the shortest and safest route to any of your dreams requires planning and only with a carefully thought out financial plan can you be sure to make the most of your resources and to protect against risks along the way. At Worby Wealth Management, Chris will do his best to help you achieve those dreams with a financial plan that is tailored to your specific needs and based on your individual situation. 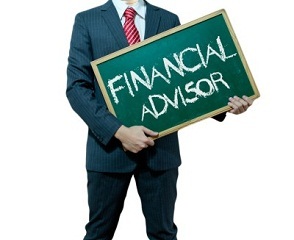 Let TRUSTED REGINA's FINANCIAL ADVISOR Chris Worby from Worby Wealth Management help you live your dream! 1. Communication. During the 2008 liquidity crisis, I gained a few extra clients because I was actively in contact with my existing clients and other advisors were not in contact with theirs. The fact is that I, like all the others, did not know what was happening or why – a 50% drop over 2 months will have that effect on you! – but that didn’t keep me from calling and having appointments. I may not have had answers, but it was still my job to provide the access to whatever information was available. 2. Pro-activity. This one goes a bit hand in hand with the first one but I can’t tell you how often I’ve heard this, “he calls me at RRSP time and I go write him a cheque and don’t hear from him for a year.” Who is the client in this scenario?! One trick I use for this one is to sometimes book our next appointment at the end of this one – even if it’s going to be 6 months down the line. It keeps us all accountable to meet regularly. 3. Interest. I often joke that “you don’t have to be a nerd but you do have to hire one” because the reading I do and enjoy and look forward to would put the average person to sleep in about 3.7 seconds! I like people, I like math, I like psychology, I like markets – I like what I do. I don’t do it because I have to; I do it because I want to. If you are working with someone who has to do something, you know it and you also know mediocrity is the usual companion. 4. Relationship. Personally, I don’t get a lot of utility out of a transactional relationship. I like to get to know my clients and I like them to know me. I am a little quirky (aren’t we all) and I like other people’s quirks. 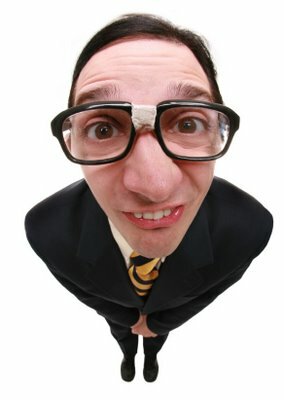 I enjoy the eccentricities that make people unique and if we are dealing with transactions – “My guy calls me at RRSP time and I don’t talk to him for a year” – I don’t get a lot of personal reward from that. It makes our work together more personal, I can understand people’s goals better and I can advise them better. 5. Competence. This one is difficult to assess in an hour or two of meeting someone however, I think it is fair to ask a new advisor about wins and losses. “Tell me about 3 recommendations you’re proud of and 3 that you aren’t.” There is no possible way that everyone bats 1000 when it comes to recommendations based on the stock market but if someone isn’t willing to discuss it with you, that’s a red flag. This also leads to a talk about investment discipline – and that’s where competence truly lies. I don’t think it’s out of line to treat a new advisor kind of like they are interviewing for a job. I often think of myself as a household’s Chief Financial Officer – you are the CEO; you’re the one making decisions and ultimately responsible. 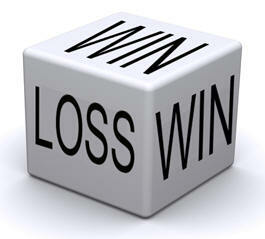 But within the realm of investments and money management services, I give recommendations for my clients’ consideration. Chris Worby is a Trusted Regina-based financial advisor and Wealth Management services provider servicing local Regina households and businesses since 2001.